SEU International Students Team Awarded Excellent Achievements in "The First International Students' Clinical Thinking and Skills Competition"
Southeast University (SEU) is located near the city center of Nanjing, to the west of the Purple Mountain and the south of Xuanwu Lake. As a centennial prestigious university, SEU is also known as one of the national key universities administered directly under the Ministry of Education of China. 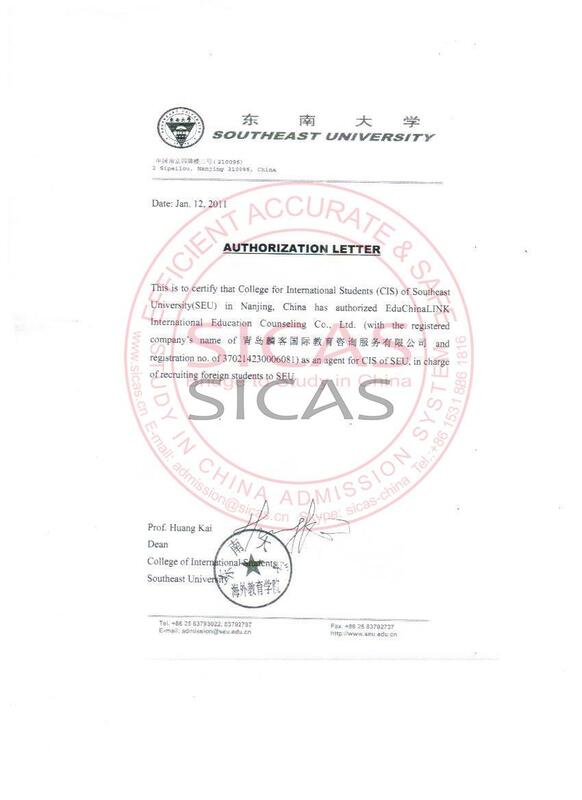 SICAS(Study In China Admission System) helps international students apply for southeast university and get the enrollment quickly and efficiently. Southeast University (SEU) is one of the national key universities administered directly under the Ministry of Education of China. It is also one of the universities of Project 211 and Program 985 that is financed by the central government to build as a world-class university. Till now More than 2039 international students from 60 countries have studied in this university, and Economics, Master's Program in International Business (in English) and International Economics and Trade (International Economics & Trade) are all very highly regarded. SICAS ranks HPU five-stars university.You will be proud of being a member of SEU..